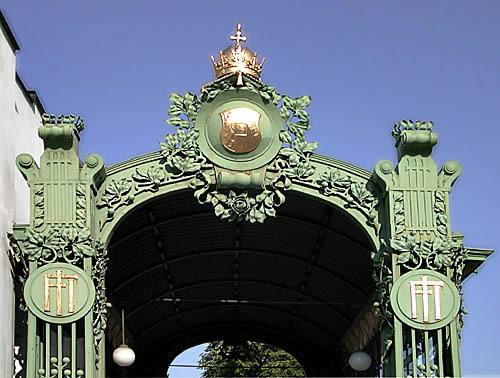 The words "Art Nouveau" mean new art or modern style but this late nineteenth-early twentieth century movement was mainly a style of decor and architecture, although elements of Art Nouveau can also be seen in painting and sculpture. 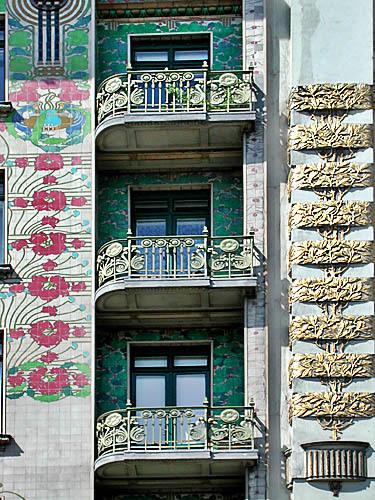 Most popular in Belgium and England, it was known in Germany and Austria as "Jugendstil" and in Italy as "Stile Liberty" or "Stile florale". 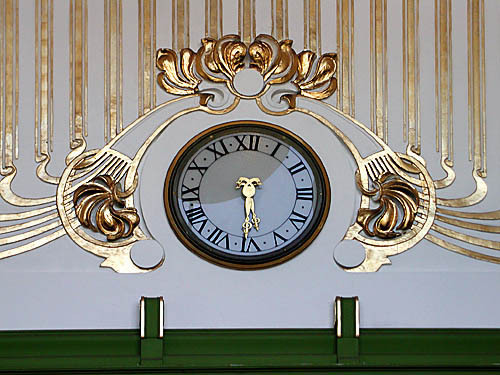 It featured floral or plant-like decorative elements, often stylish figures and flat patterns of writhing vegetable forms. 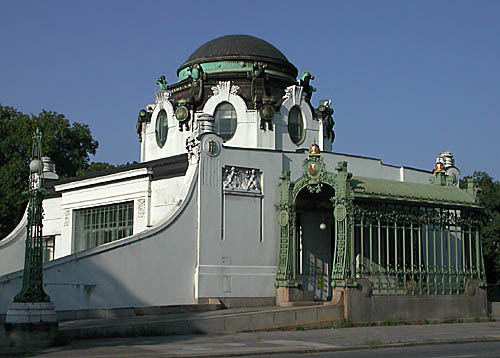 Art Nouveau received its German name (the "Youth Style") from "Die Jugend" (Youth), a magazine in the vanguard of art that propagated the new fashion. 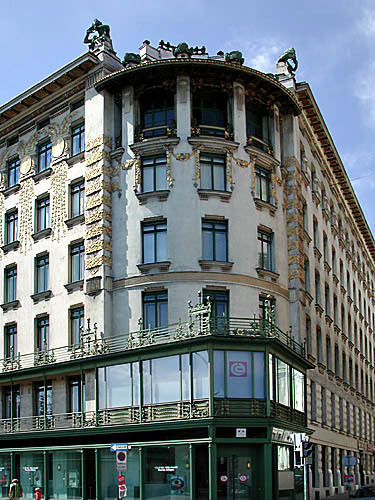 In Vienna, Gustav Klimt and others left the traditionalists guild of fine artists in 1897 and founded their own association, "Secession". 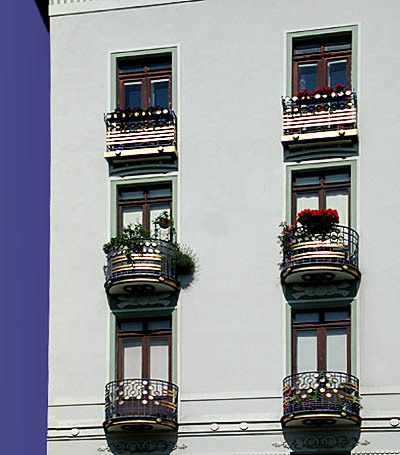 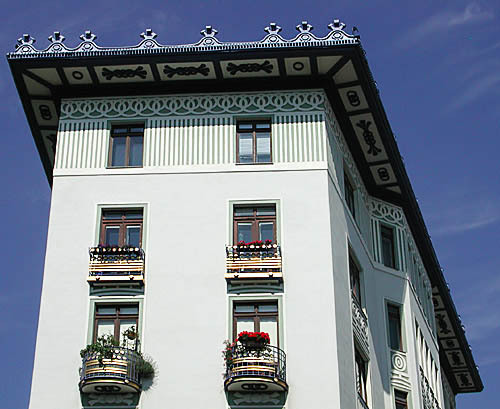 Because the Jugendstil was so prominent in Vienna, it is easy to find many architectural features in the Jugendstil style. 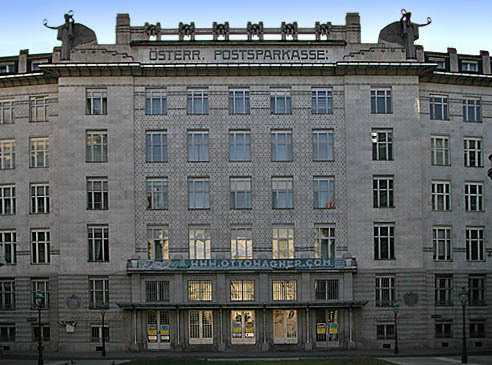 The architect Otto Wagner soon put his stamp on architectural Vienna, achieving a breakthrough for the new style with the new Stadtbahn (metropolitan railway) built 1893-1901 in the style of Jugendstil. 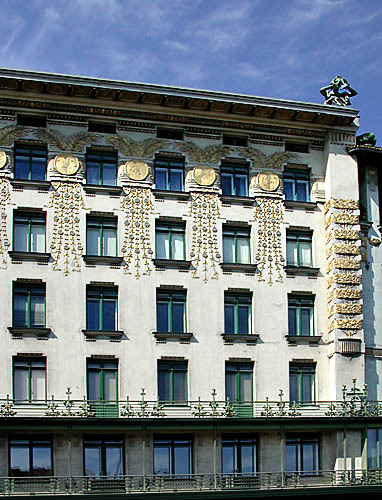 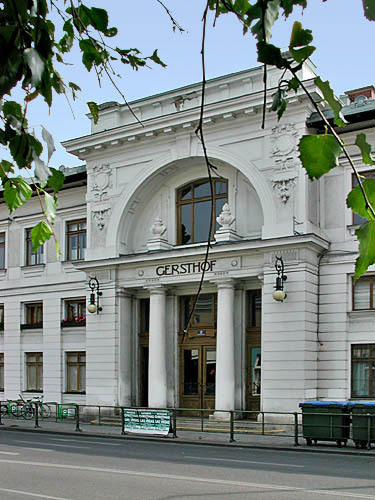 Otto Wagner (1841-1918) is considered the most renowned Jugendstil architect during this period. 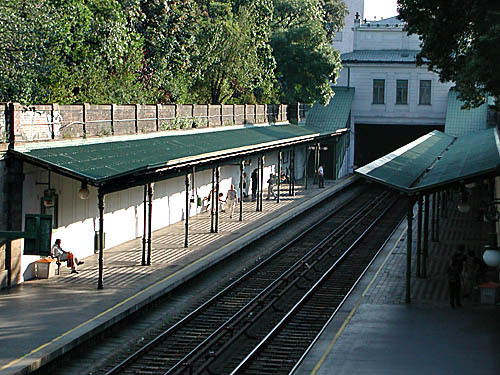 He realized the modern picture of imperial Vienna. 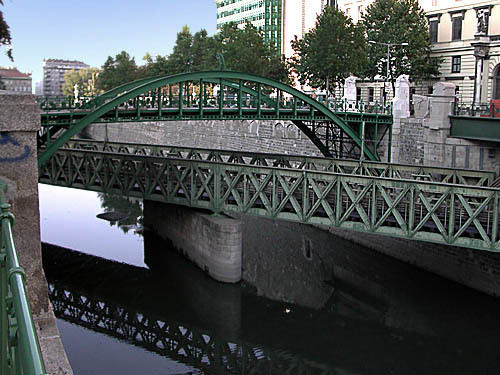 The uniqueness of his creation and of his value reside in the way he was able to combine his artistic talent with his technical and engineering knowledge. 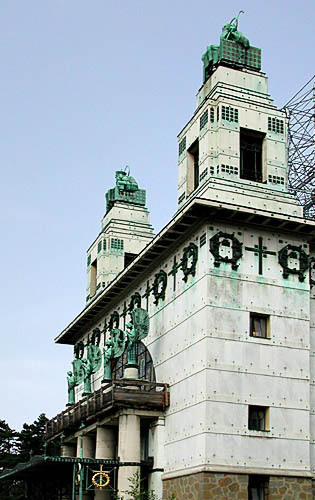 In his designs and buildings Wagner added rational and functional elements to the aesthetic ones. 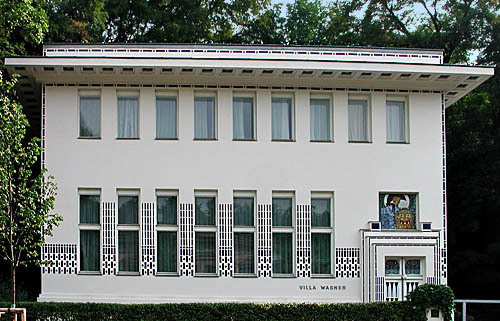 He reduced the romantic character of the Jugendstil to objective forms, but without giving up decorative and graphic elements, which were organically integrated into his utilitarian buildings, emphasizing certain construction elements. 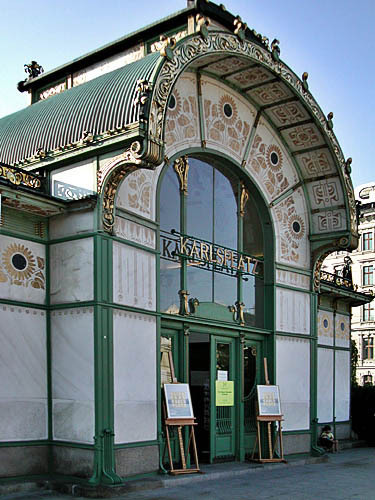 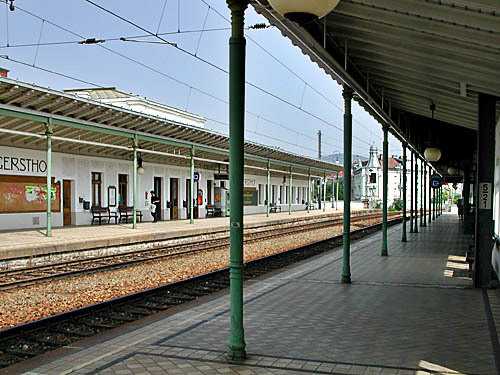 Many of his buildings, railway bridges, and Stadtbahn pavilions are still in use today and can be found literally everywhere in the city of Vienna. 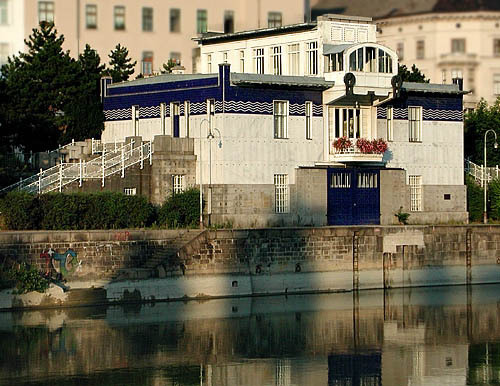 The Schützenhaus is situated on Vienna's Danube Canal and was constructed to control the system of locks. 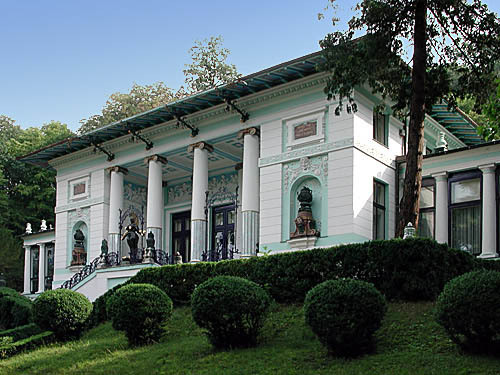 The lockkeeper was also meant to live here. 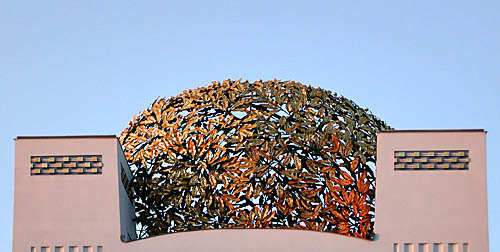 All photos presented here were taken with a Nikon Coolpix 880.